Permission granted to translate and reprint this article. Please link back to this original source, thanks. Screen grabs used in this article have been adapted from The Pic Bug and link back to their sources. This article contains spoilers. The Lexx series is now distributed internationally through U.S. based Echo Bridge Entertainment, which you can also follow on their distributor twitter and VOD twitter. He's been discombobulated, desanguinated, decapitated, and disenfranchised like no other and remains the most feared divine assassin in the two universes. 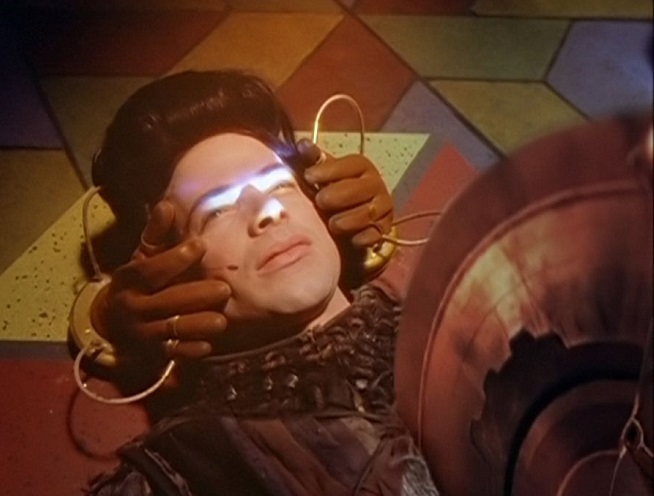 Nothing has ever stopped him until Prince intervened with the gift of life in the very last episode of the four seasons of Lexx. Kai is the most prolific and oldest recorded zombie in science fiction history. It almost seems disrespectful to refer to Kai as a zombie. True he is animated after death, true he has no motivational will of his own after he regains his memories and even some of his conscience, true he even feels absolutely no remorse or regret for all the bad things he did in the name of His Shadow (here we can debate the conundrum of intellectually finding one's actions reprehensible without feeling any of the disgust or sadness), but it's also true that regaining his memories gave him back some of his dignity in a very sad, surreal kind of way that mocks the awareness of his continuing existence. Zombies generally don't get their memories back, much less have a self awareness of an individual identity. Two crucial components come together in Kai to create his unique zombie experience, the most vital being protoblood, and the other is his having been exposed to the memories that the Insect essence kept alive in one of the Divine Predecessors. Protoblood, produced by Insects, animates all dead flesh that it touches. Protoblood is simply a mechanism without a program, most likely an evolutionary Insect survival tool for long dormant spells, especially in between planets. The essence or life force that the Insects also produce provide the motivational programming and previous memories that can be passed from Insect to Insect, probably their greatest talent for success in their millennia of wars with and control over humans, especially as this most likely retains group cohesion in a sort of hive mentality over the great expanses of time and space. 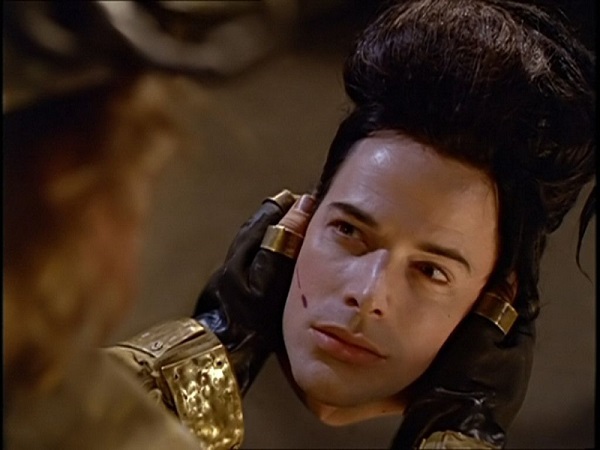 This is not explained in the Lexx series as the Insects have all been wiped out (so we think) before the story begins. Later we find out how damaging even just one Insect can still be. Kai is a different sort of zombie, though, created on purpose by bioviziers on the Cluster into the ultimate killing machine. Some parts of him are missing entirely and replaced with hardware apparently run by integrated software that isn't necessarily all dependent on a central hard drive location, such as his brain. Before Kai gets his memories back, he is a complex automaton programmed to assess pertinent events and execute immediate judgement. 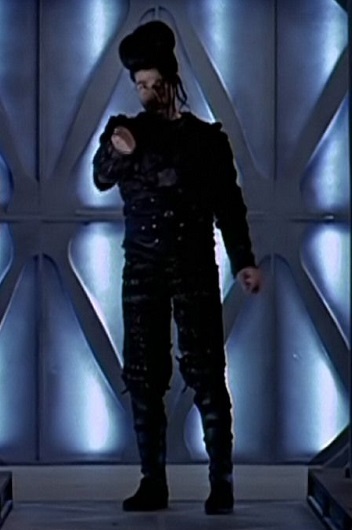 After he gets his memories back he seems able to block or override this internal programming, but when his personal memories become once again blocked by outside mechanism (as per Brizon, Mantrid, or essence) or cryopod sequence fail or even just breaking down, programming once again takes over and he becomes lethal to all around him. One could argue that this makes Kai a synthetic, a bio-robot like the other hybrid robots on the Cluster, but the key to Divine Assassins is that they are already dead. Their flesh is in no way living by normal standards, even with protoblood activating them. Kai does not need sleep or food. He doesn't need time off to regenerate like the Borg. He doesn't even run on a battery like 790. He horrifically exists in a state of corporeal nonbeing, aware because of the memories he regained, but unable to care. Even knowing right from wrong, even remembering that he once had strong opinions and desires, he can no longer act on those of his own volition. He is a spiritual and intellectual zombie, numbed and estranged from the world going on around him. Kai was created to be a useful tool accomplishing actions that he once found reprehensible and died fighting against. He never articulates how he feels about this, often stating that he cannot feel at all in a way that comes across as though he would like to feel disgust if he could, but the dead do not have likes, preferences, desires, and quite a long list often quoted by fans. With other zombie shows, the deepest fans can feel for the poor zombies is shocked sadness at former loved ones having to be gruesomely stopped from killing people. We are able to journey with Kai into the black abyss of corrupted flesh, from which there is no return. 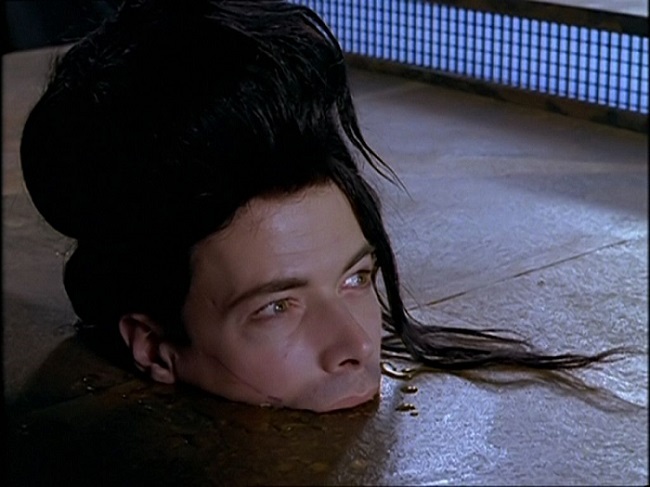 The Lexx series aggressively demonstrates a world of human genocide and perversion, and the dark depths society will descend into just to survive. 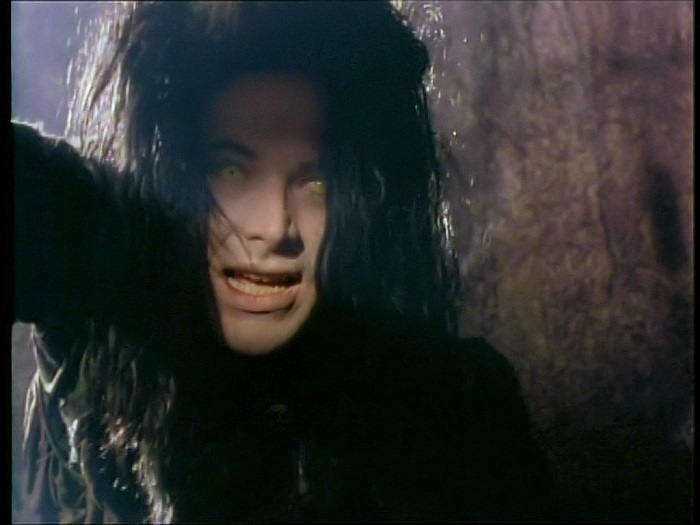 According to the Lexx series, zombies, vampires, and much more in the way of genetic experimentation (possibly including Gigerotta the Wicked) all originated in the League of 20,000 Planets under the reign of His Divine Shadow. After His Shadow had Kai's body repurposed into an assassin, Kai became legendary among the Ostral-B heretics. Even though they had never known who the Brunnen-G people were, two thousand years after the last Brunnen-G was killed Thodin recognized Kai. Thodin and his army had likely seen other Divine Assassins in action and knew very well what they were capable of- this one was different. This one fit the description of the lost Brunnen-G race. 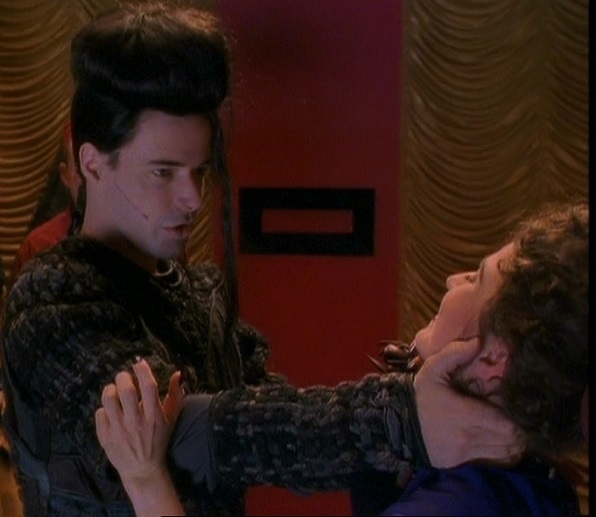 Zev (and Xev, and many Lexx fans) want to see Kai brought back to life. We learn as the story progresses that even if he could be brought back to life somehow, his poor body has been so scraped out to make room for hardware that becoming alive again would necessarily be a miserable prospect. I like to venture further into the exploration that perhaps an alive body would feel even more like a trap than a zombie body, if it brought with it pain from everything Kai has been through. Just because protoblood automatically takes over at the molecular or cellular level and forces the tissues to bind back together once severed doesn't mean living cells wouldn't go through quite a shock if they could start operating again. Kai's body no longer heals or mends after it is broken or torn, but binds back into a cohesive machine. Without being able to study Insect physiology from our very narrow point of view, we must guess that protoblood basically made the Insects somewhat immortal until the Brunnen-G ancestors found a way to defeat them. Given that Kai can withstand very high power disruptions, perhaps protoblood has something to do with creating an electromagnetic barrier around conductive tissues. At any rate, if Kai could be drained of protoblood and reintegrate his former senses, he would probably feel very weak. 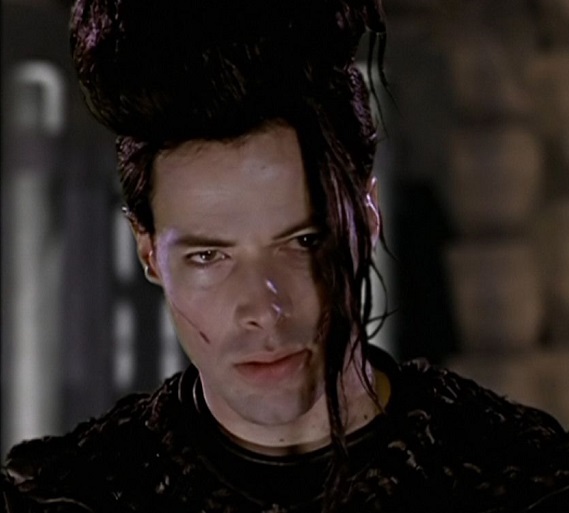 As Lexx begins with Kai being the one to fulfill the prophecy, so it ends with Kai once again crashing his craft into the heart of danger in order to stop it. Kai's very end is poignant and ironic; after winning a game of chess against the Prince of death himself, he is granted life only to lose it again. After being a zombie assassin for six millennia, after having killed tens of thousands and more, after outlasting his people, both his ancestral planets, and even a universe, he finally finds rest. 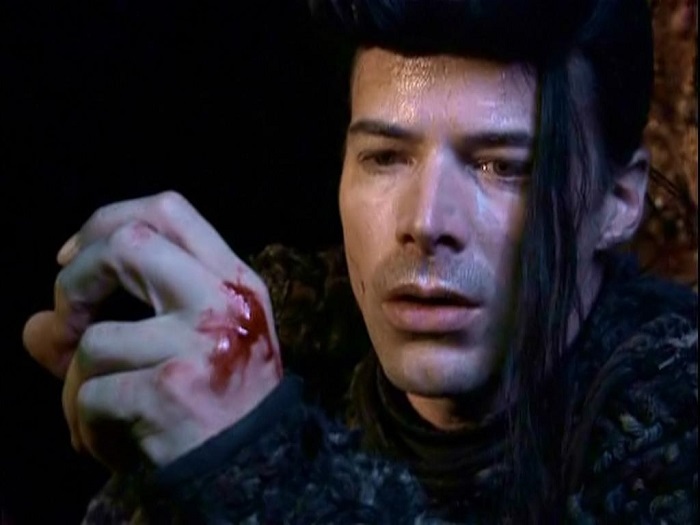 Kai is played by Michael McManus. If you would like to know more, the most complete site I know of for information is at michael-mcmanus.com. Here are quick links to interviews from 2006 (apologies, that podcast link is inaccessible without premium subscrition to scifitalk.com) 2007 and 2009, and there is an updated (2010) Kai biography at sadgeezer. Links within my article above go to articles at Lexx Wiki.